One bedroom, one bath upsatirs apartment. Fully furnished with all the amenities. Two wall mounted TV's. Private balcony. Stroll up and down miles of beach and eat seafood and burgers in your bathing suit and no shoes at several beachside grills. It's within walking distance of many restaurants, shops and our famous Pier 60 where people come out to celebrate the setting sun. There is a nice porch/deck right outside the door to enjoy when not out on the beach. apartment is in the rear with a separate entrance. quiet and steps to the beach, all you could want. The apartment was very clean and quiet and in the perfect location. Steps from the beautiful beach and within walking distance to great restaurants and shopping. We were in an upper apartment in Clearwater. Our stay was extremely close to the beach, to Pier 60, and all the shopping on Mandalay. The street we were on was very quiet (as promised) and walking distance to all we desired to do. Valerie was extremely helpful with our reservation, our questions, and information on area events. We loved the apartment and it was just perfect for 2 people. 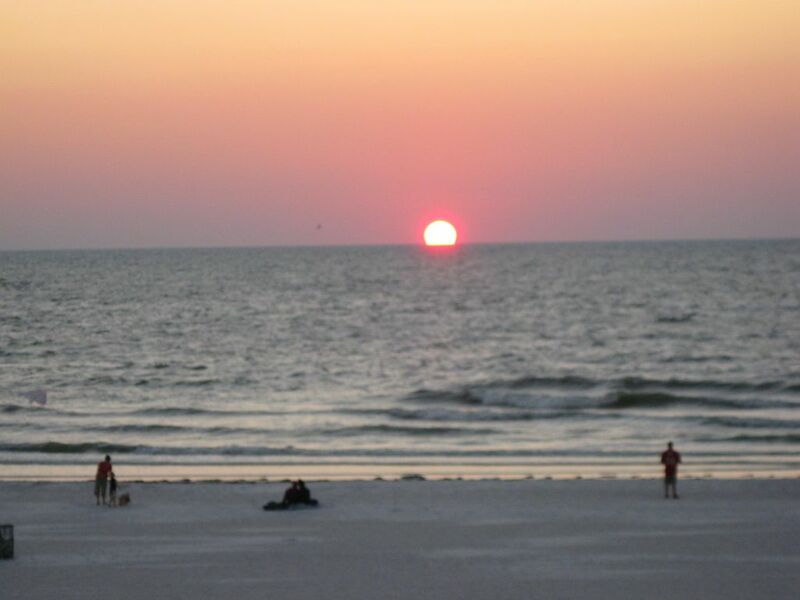 I look forward to going to Clearwater again, and renting the same apartment! It is a hidden gem for sure. First time ever using VRBO and this place was perfect quiet end of the beach literally a minute walk to the beach and walking distance from the main strip of shops and restaurants. The owner was ALWAYS VERY RESPONSIVE when we needed something! Will definitely come back and stay again through this place! We really enjoyed our stay in this quaint little cottage at Clearwater Beach. You can easily walk to the beach from the cottage. The cottage is also within walking distance of the restaurants and stores, but we chose to drive and park in a central location of everything. The owner was very responsive to email, text and calls. Great little place to get away and wind down a bit.